If you run a pharmacy, it’s critical you know all the steps necessary for proper pharmaceutical waste disposal. Failure to be fully compliant with local, state, and federal laws could result in massive fines, and any noncompliance could also present big environmental and safety concerns. The risks and consequences are high, so if you’re at all unsure about your Georgia pharmacy’s compliance, read on! The first step in any sound pharmacy waste management plan is proper identification. If you don’t know exactly what kind of waste stream you’re dealing with, you won’t be able to know what regulations you need to follow in terms of storage, shipment, and treatment. If you’ve decided to work with a medical waste management company to help you handle all your generated waste, you need to make sure of two important things. The Georgia-based company you’ve decided to work with must be permitted to handle the type of waste you generate. For example, if your pharmacy produces hazardous materials, the company must be specifically permitted for that waste type. Those permits (and insurance) should also be valid for Georgia. The company must be using accurate and appropriate methods of identification. This could include analytical testing and/or checking against SDS sheets. Remember, without proper identification, you cannot ensure proper disposal! Pharmacies can produce a variety of waste types, and it’s important to remember that proper expired medication disposal is fundamentally different from proper sharps disposal. If your pharmacy offers shots or engages in any other activity that results in biomedical waste, you must follow the proper steps for regulated medical waste disposal. This entail putting any and all sharps in the proper sharps bins and other red bag waste in designated red bags. Failure to comply here could put people and the environment at risk. Not using sharps bins could lead to people being stuck by used needles, and not properly segregating your waste into the red bags could ultimately lead to improper waste treatment. It’s also vitally important that no expired medication ends up in these red bags. 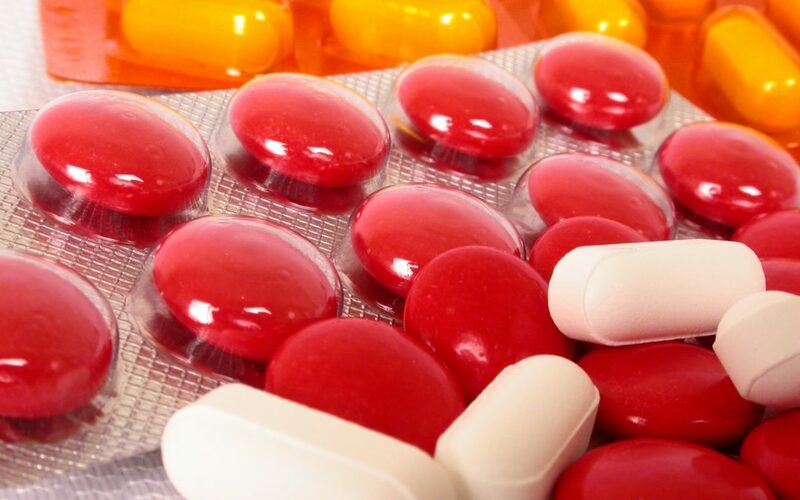 Expired medicine should never go in a red bag, and it should certainly never be thrown into the trash, put down the drain, flushed down the toilet, or otherwise improperly disposed of. Not only is it dangerous for the environment, but it could lead to big fines for your pharmacy. Even if you’re working with a third party, it’s crucial to remember you are the generator of this waste, and that means you assume cradle to grave liability. Whatever happens with that waste, until it is properly treated and disposed of, you are legally and financially responsible. Even if an accident involving your waste occurs while in the care of a company you’ve hired, you could still have to deal with the financial and legal fallout. For more information about what Georgia-based pharmacies need to do when disposing of expired medications, reach out today to a representative of MCF Environmental Services, an Atlanta waste management company! Hazardous Waste… Are You a Small or Large Quantity Generator? Start Properly Disposing of Your Unused and Expired Medications Today! Let us help you get rid of your company's waste today.